Sinks is the owner of Bluegrass Beverages in Hendersonville and Sinkers in Nashville. He has been a member of the Hendersonville Rotary Club for more than 27 years. 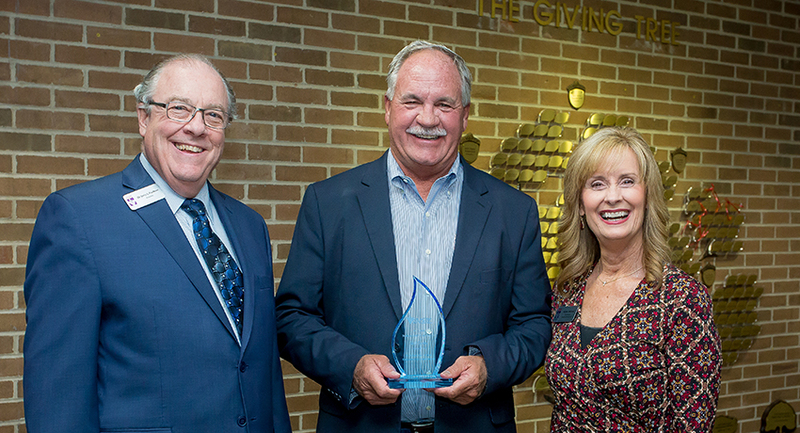 Pictured: Vol State president, Jerry Faulkner, congratulates Bill Sinks, along with Karen Mitchell, executive director of the Volunteer State College Foundation.